Her yarn have this special, relaxed feeling to it – looking at it, touching it or knitting with it feels like a vacation! That's probably because Bridget Henderson lives in South Africa, close to Cape Town, just a 15 minute walk away from the Table Mountain National Park. 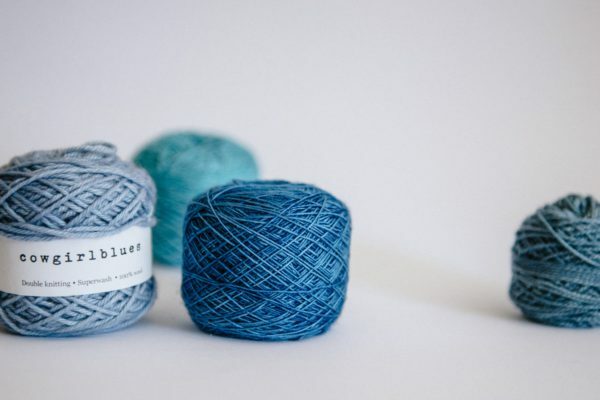 "Cowgirlblues" is the name she chose for her brand, and I am proud and happy to announce she has agreed to dye a new, exclusive color for Strickmich! Club – for a sunshiny feeling when knitting! Bridget has been dyeing yarns since 2012: "I had learned to spin and the natural next step was to start experimenting with dyeing. My first experiences were with some yarn and with wool roving as I was still thinking about spinning." In the beginning she focussed on dyeing already knitted yarn and dyed a lot of garments, she says. 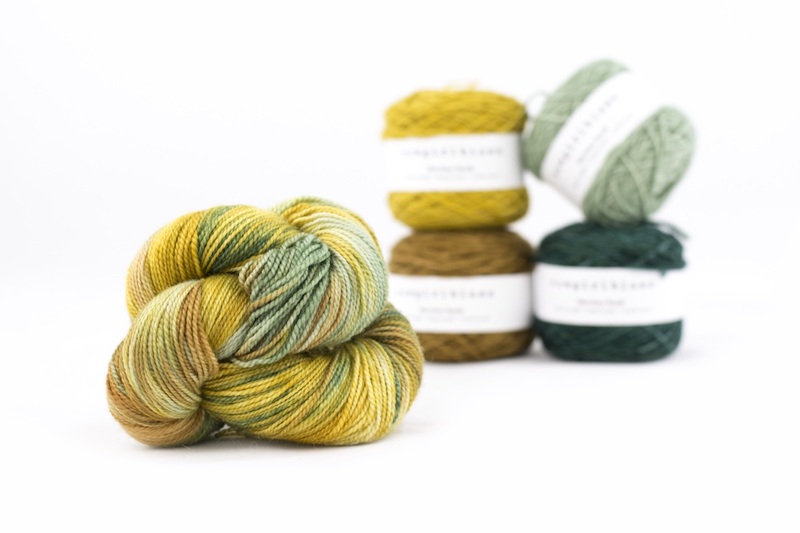 "At this stage I wasn't aware of the huge move towards hand dyed yarns internationally. But knitters and crocheters in South Africa started seeing my colours and began asking for yarns, so I started doing these as well." The first merino sheep arrived in South Africa in 1789 and mohair goats in 1838. "So unlike many European countries we don't have the traditional knits and patterns that have been handed down over hundreds of years", Bridget says. But sometimes that's an advantage as we aren't tied to a historical way of doing things, so I think I would say that people are fairly open minded and interested in trying new things here." Bridget creates all of her colour blends from primary colour dye powders and she and her team mix them up themselves. "I think both the palette and the combinations of colours make our yarns stand out", she says. "They have a vibrancy about them that I think is a little different. And maybe there's a trace of the passion we feel for the product that lingers on the yarns, left behind by all the hands each skein has passed through in the process." Bridget works with South African natural materials which are predominantly wool and mohair: "I love these fibres and the different blends of them. ", she says. When Bridget has free time, she continues her creative journey: "I am a maker, so I'm often playing around with different projects and at the moment I'm in a bit of a woodwork phase and have been learning to make shelves and drawers ... it's quite difficult. I have a garden and like to potter about and play, and I'm always experimenting." 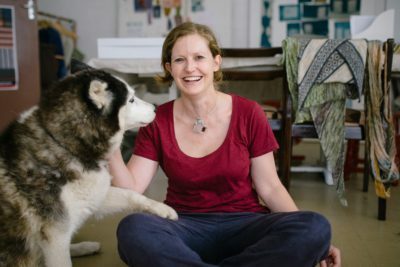 She also spends a lot of time walking the mountain with her Siberian Husky, Meera. And, of course, she knits: "I like easy knitting projects! I use knitting as a way to relax, so I like something that's quite meditative where I don't have to think too hard about following a complicated pattern. And I like to let the colour do the work...!" So it looks like she is just perfect to be a part of Strickmich! Club, as Martina's patterns do exactly that!